Thanks to Massy Books & all the attendees for a beautiful book launch! 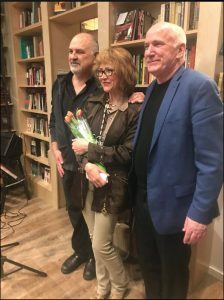 Thank you all for attending our group book launch at Massy Books in Vancouver. 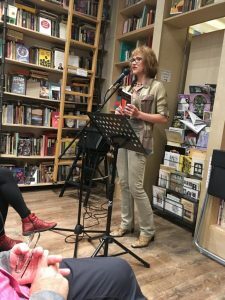 It was a delightful evening, the bookstore was packed, as this kind of places should be all the time. 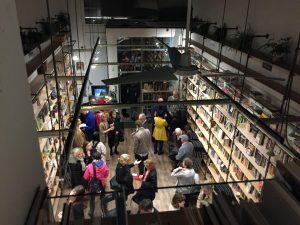 I am glad that this was also the occasion for many of us to discover “Massy Books,” a book-lover secret corner (100% First-Nation owned) and a refuge for the soul in the East End. Thanks to Patricia Massy for hosting us! 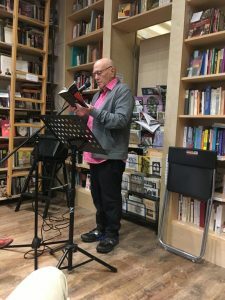 I attach some pics, including the one of Dr Cecil Hershler reading from my bok “The Afrikaner” with his beautiful South African accented voice, and of me with authors Michael Springate and Ian Thomas Shaw. I wish you all a pleasant reading time!